An 8-year-old girl died at the scene of Friday night’s crash at Kaituna, near Masterton, police have confirmed. 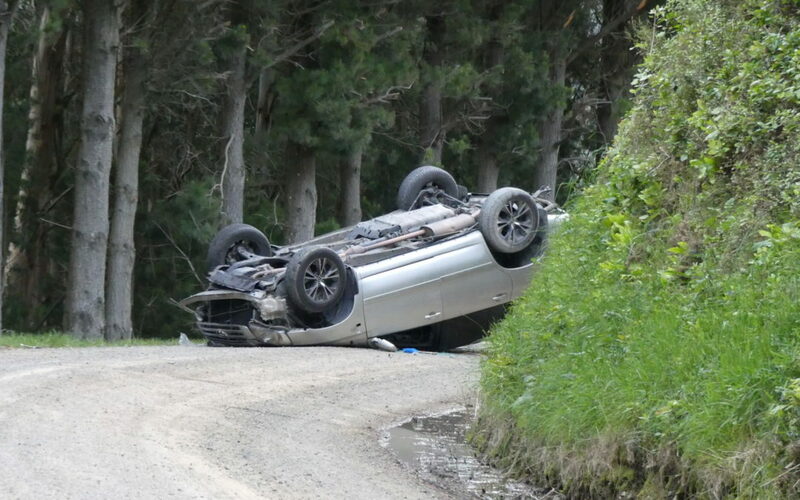 The single-vehicle crash occurred at 6.20pm on Friday on Upper Waingawa Rd near Masterton. Five people were in the vehicle at the time, including three children, two of whom were taken to Wairarapa Hospital but were not admitted. One adult was airlifted to the Hutt Hospital Plastics Unit on Friday night, but did not have life-threatening injuries. Police Senior Sergeant Mike Sutton confirmed there was an ongoing investigation into the cause of the crash, including possible charges. The driver of the vehicle was female. At time of publication, further information on the crash, including the name of the girl who died, had not been made public. The spot where the crash occurred is on a relatively flat section of gravel road, on a bend.